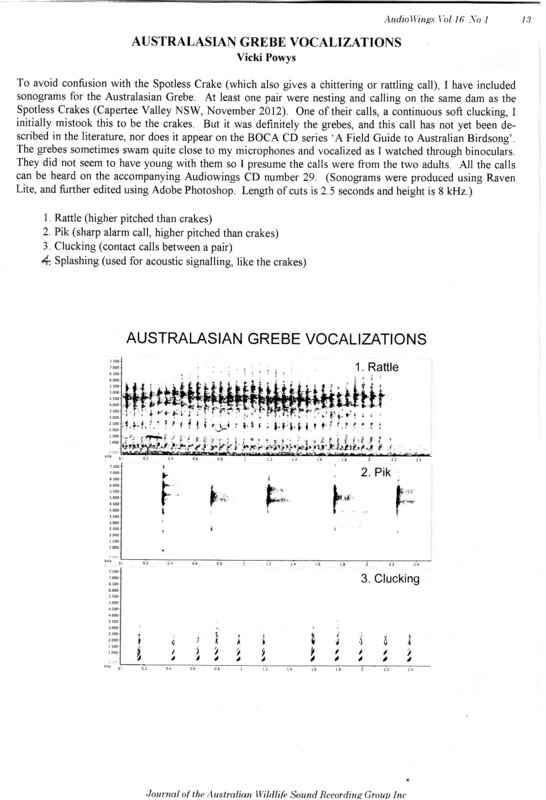 This article on Australasian Grebe vocalizations was published in Audiowings, the journal of the Australian Wildlife Sound Recording Group, in June 2013. 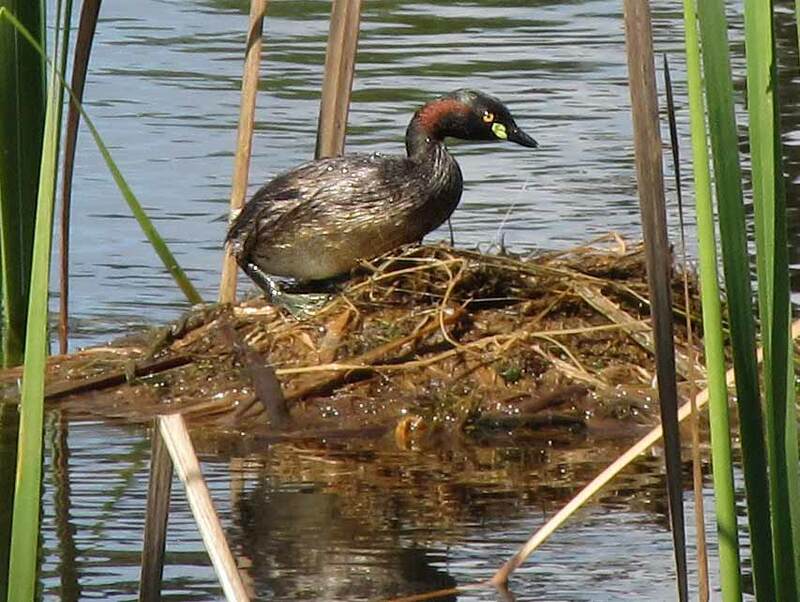 It is a companion article for the one on Spotless Crakes, in the same issue. The audio clip below the sonograms is from Audiowings CD # 29, with recordings by me. This page created 2013 and upgraded 5 June 2017.